A ratcheting PVC pipe cutter is an excellent tool for cutting plastic pipe. The cutter produces no plastic shavings, which is important because these can clog filters and jam valves and pumps. Also, you don’t need much room to use a ratcheting PVC cutter, unlike a saw. In addition, the tool makes a much cleaner cut than a saw, which leaves a ragged edge that often makes the application of fittings difficult. A ratcheting cutter makes a clean, smooth cut that is immediately ready for fittings. 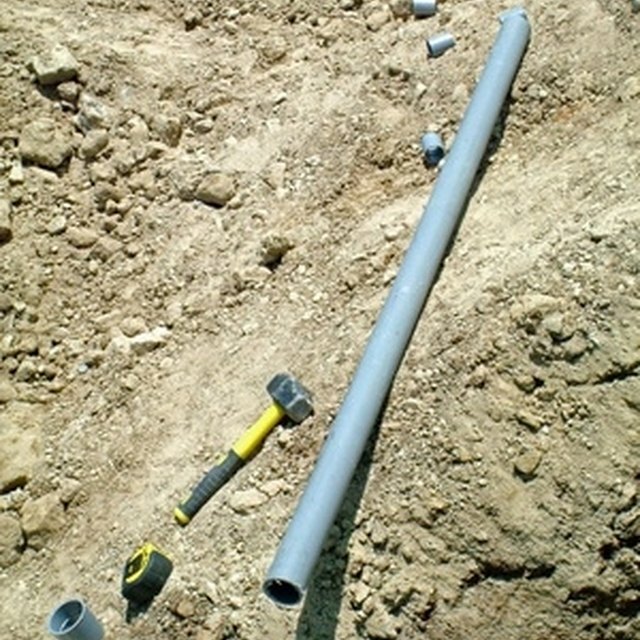 Measure the PVC pipe so that you know exactly where to make a cut. Mark the PVC pipe at the desired cutting spot by placing a dot or line on the pipe using a felt-tipped marker. Double-check your measurement. Release the jaws of the cutter, which are stored closed for safety reasons. You will have to remove or adjust the strap or clip at the base of the handle, which holds the spring-loaded handle in the closed position. Open the jaws of the cutter fully. Insert the pipe into the jaws of the cutter. Rock the cutter back and forth slightly to ensure that the cut will be square. Repeatedly squeeze the handles to slowly drive the blade of the cutter so that it contacts the pipe on the cutting spot. Continue squeezing the handles of the cutter. Each time the handles close the blade will slowly cut the pipe by about ? inch, and as the handles are released they will ratchet back, allowing you to take another bite of the pipe. Continue the ratcheting cut motion until the blade fully cuts through the pipe and severs it. When you finish the cut, replace the strap for safe storage of the tool. Residing near the Central Florida beaches, Steven Douglas has written extensively on resolving small-business issues since 1990 in publications such as ForexFactory, Forex-Tsd, FxStreet and FxFisherman. After earning a master's degree in administration from the University of Maryland, his primary focus has been on international currency trade and how it can be effectively utilized by small businesses across the United States.